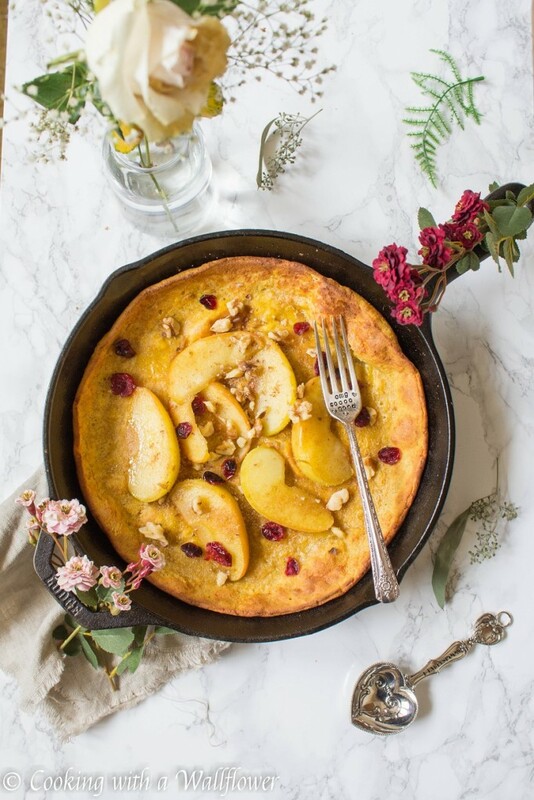 Crispy on the edges and fluffy in the center, this Dutch baby pancake is filled with pumpkin puree and pure vanilla extract then topped with caramelized brown sugar apples, walnuts, and dried cranberries. 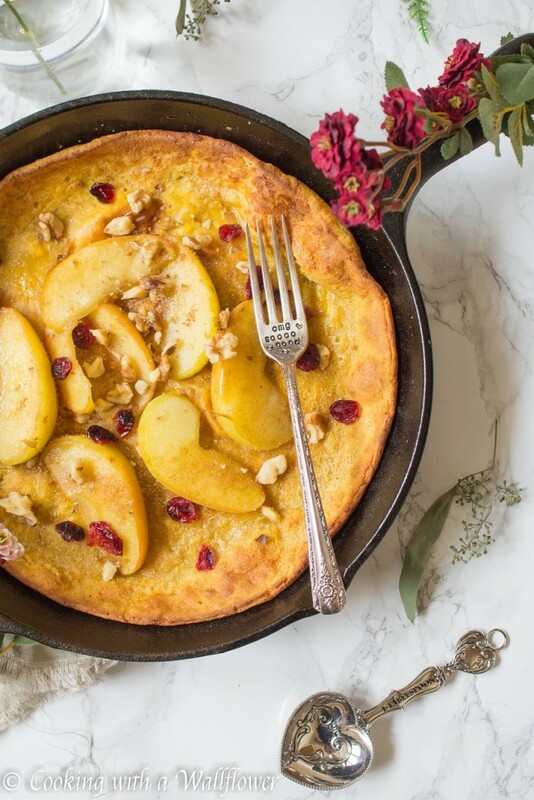 This pumpkin Dutch baby pancake with caramelized brown sugar apples is the perfect autumn inspired breakfast. Seriously obsessed with pumpkin and apples right now. It’s all things pumpkin and apples in my kitchen. Think breakfast, lunch, dinner, and dessert, probably appetizers too. So of course, I needed to combine two of my favorite fall ingredients. 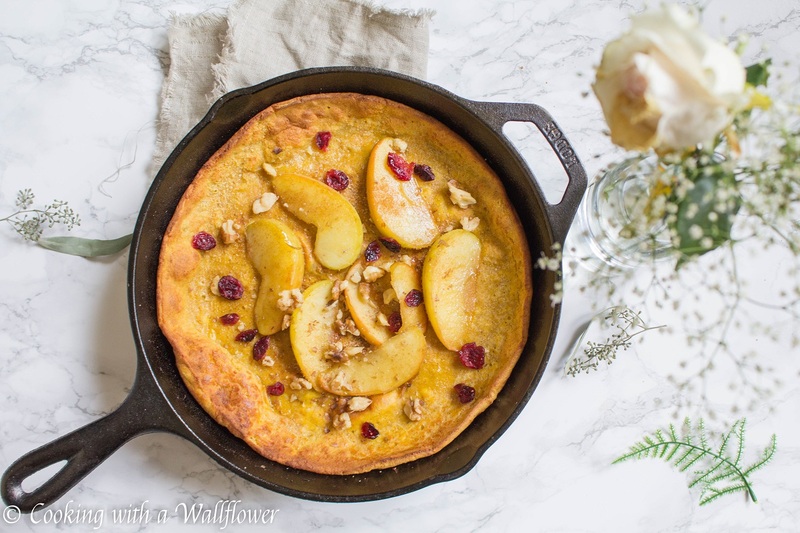 If you’re a fan of pumpkin and apples, you’ll love this pumpkin Dutch baby pancake with caramelized brown sugar apples. To make the pancakes, just mix all the ingredients in one large bowl then pour the batter into a hot cast iron skillet. Baked for about 20 minutes, this pumpkin Dutch baby pancake comes out with crispy edges and a fluffy center. The pancake is then topped with caramelized brown sugar apple, dried cranberries, chopped walnuts, cinnamon sugar, and served with maple syrup. Delicious and absolutely perfect for fall. Isn’t this an incredible fall weekend breakfast? In a large mixing bowl, combine all purpose flour, brown sugar, pure vanilla extract, beaten eggs, milk, pumpkin puree, and pumpkin pie spice. Whisk until all the ingredients are well combined. 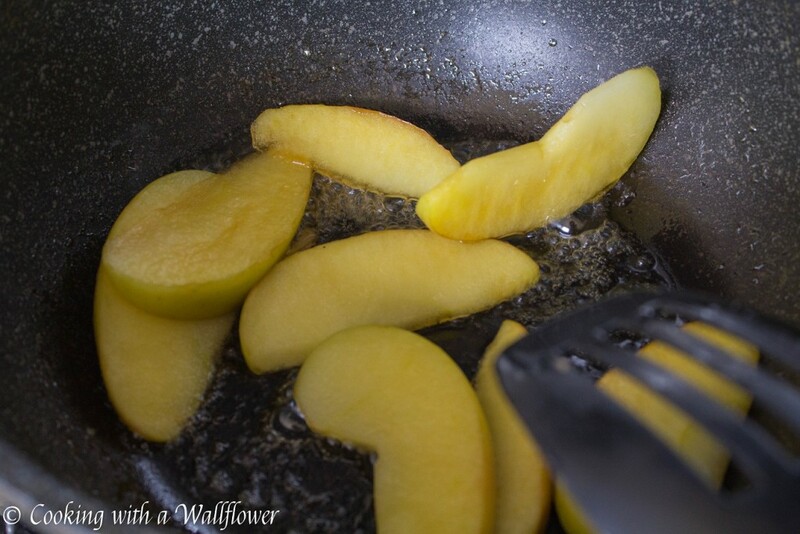 Melt a tablespoon of butter in a 10 inch cast iron skillet over medium heat. 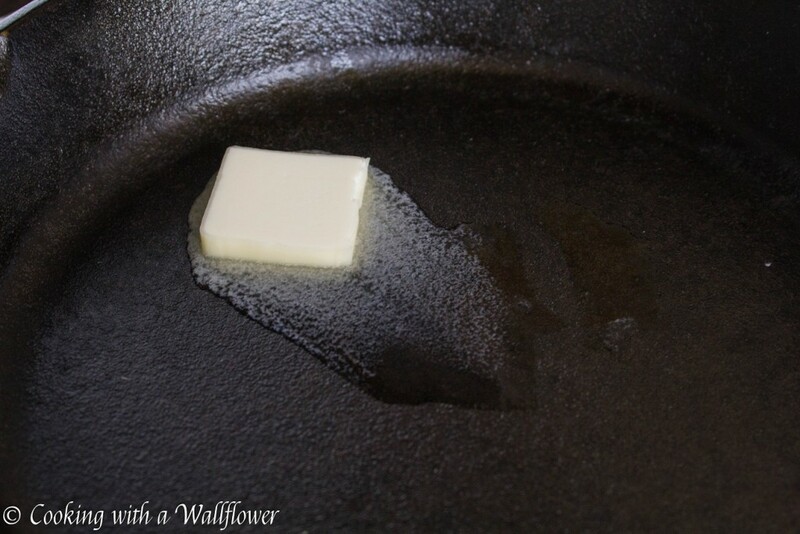 Once the butter has melted, move the butter around until it coats the bottom and sides of the skillet. Pour the pancake batter into the hot skillet, and then place the skillet into the oven. 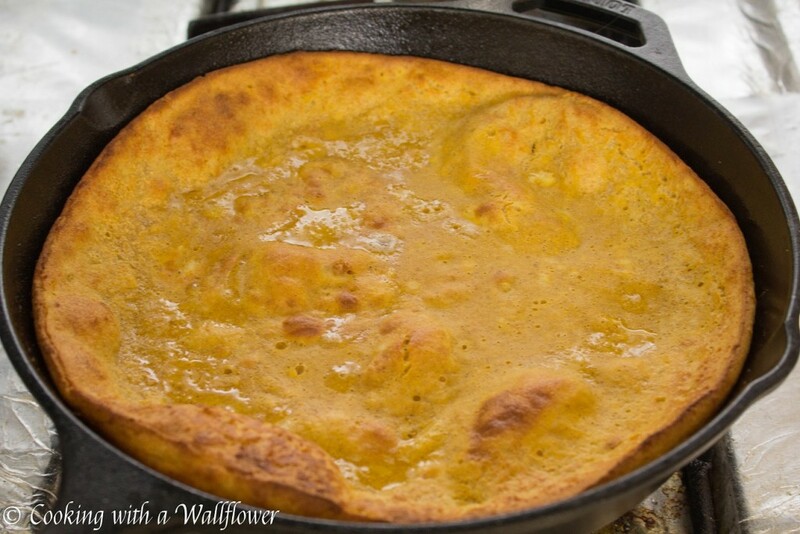 Bake the pumpkin Dutch baby pancake for 20 minutes until the edges are brown and crispy. The pancake will puff up in the center and deflate as it cools down. While the Dutch baby pancake is baking, combine sliced apples, water, and brown sugar into a small pot over low to medium heat. Stir to prevent the apples from burning at the bottom. Cook the apples for 8-10 minutes until they’ve softened and browned. Once the pancake is done, pour the caramelized brown sugar apples on top. Add dried cranberries and chopped walnuts. 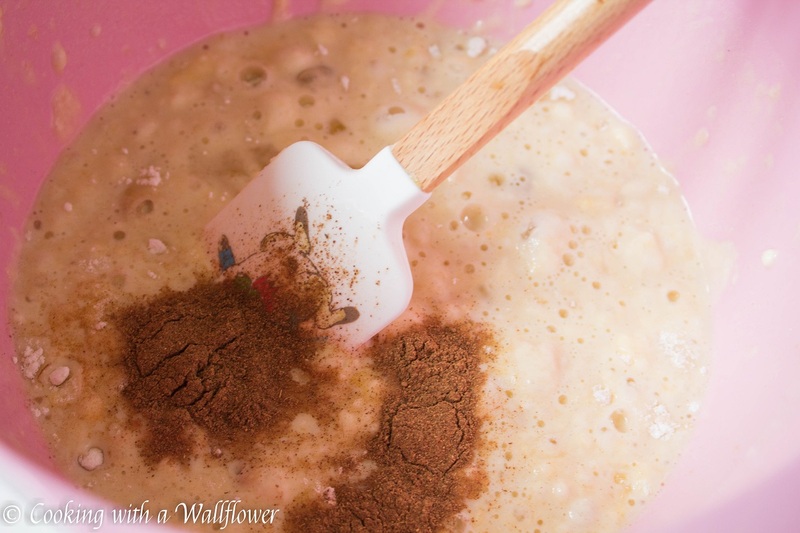 Sprinkle cinnamon sugar on top if desired. 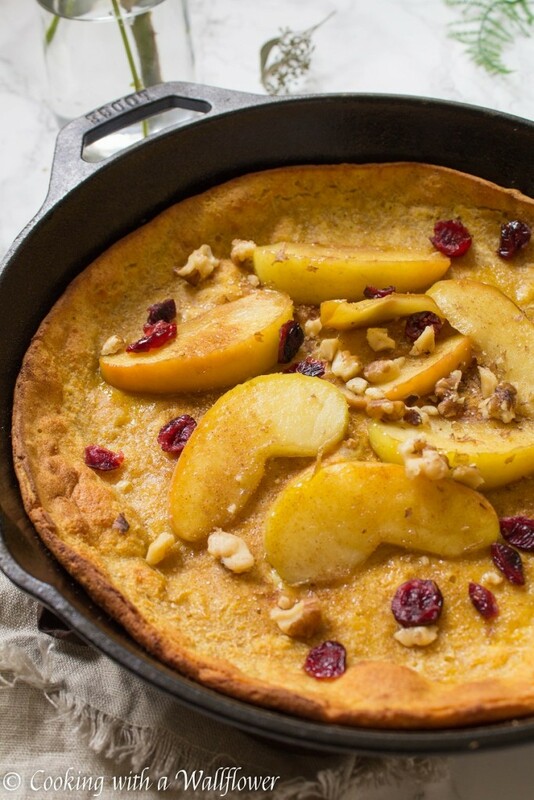 Serve the pumpkin Dutch baby pancake with caramelized brown sugar apples warm with maple syrup. Come join me and other food bloggers at Fiesta Friday where you will find tons of recipes. 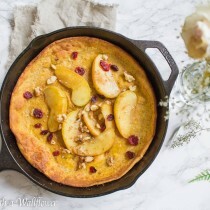 This entry was posted in Breakfast, Fall Cravings, Farmer's Market, Quick and Easy, Recipes, Vegetarian and tagged apples, breakfast, fall recipes, pumpkin, quick and easy, vegetarian. I am actually not a big fan of pumpkin but boy would i love to try this! This looks so pretty and I love the sound of the flavors (I have been combining apple and pumpkin recently so am on the same page!). Must give them a go! The fall flavors are perfect and I might devour the whole thing! Thanks so much for sharing at Fiesta Friday #142! Love the apple recipe! Will try this one.